If you are near the Corning, NY area and you need to make a glass tumbler go over to Corning Studios. 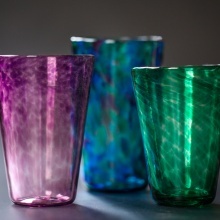 Over the month of March you can go in and have a glass blowing experience…and you’ll get a tumbler. Their technicians will guide you through the process of blowing a glass tumbler. The pictures sure are pretty. At $44, it’s a screaming deal to get the experience and a tumbler. I’m sure you’ll get bitten by the glass blowing bug and have to go back over and over to grow your collection of handmade by you tumblers. I know I would…if only Corning was closer to Los Angeles.